When Germany’s “Iron Chancellor,” Otto von Bismarck, uttered those words, he was not thinking of middle schoolers. Yet, 60 middle school students and teachers sitting in a pavilion may teach us more about democratic possibility than Bismarck’s famous aphorism ever could. At SEEQS: the School for Examining Essential Questions of Sustainability, students and teachers are invited to multiple town halls throughout the school year. They choose between attending town hall or study hall. Many choose the former. At any given town hall, around one-third of the student body and half of the faculty are present. Following Robert’s Rules of Order, they debate and make binding policy together, offering, amending and voting on motions. At the most recent town hall, I proposed a motion to extend the passing time between the Arts period and our school’s co-taught Essential Questions of Sustainability (EQS) period. My reasoning was threefold. First, at five minutes, the passing did not allow arts teachers enough time to physically transition to their EQS classrooms. Second, any clarification, conversation or consequence had to be postponed until after school, otherwise the teacher and student would arrive late to the next period. Third, no other period had such a short transition prior. 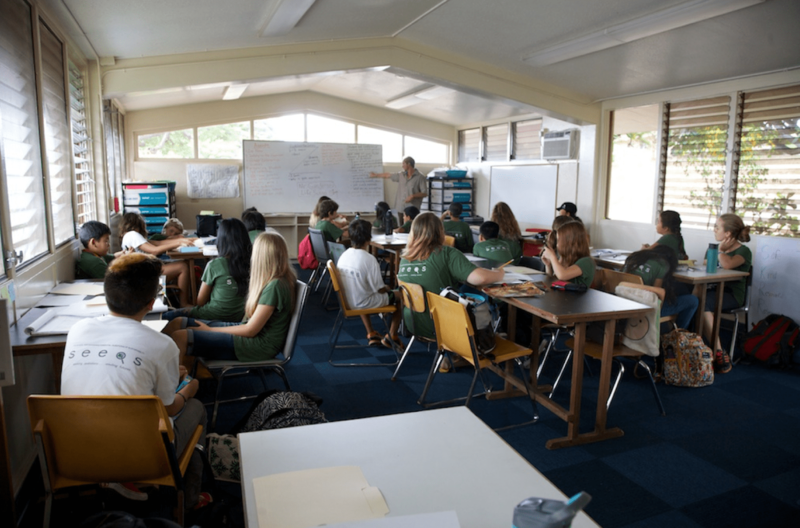 Students take part in a class at the School for Examining Essential Questions of Sustainability. My initial proposal shortened EQS by five minutes to lengthen the passing time to 10 minutes. Because the motion affected an integral part of the school, our school leader, Buffy Cushman-Patz (Ms. BCP), offered expert testimony first. She informed us that the accumulated loss of instructional time would be equivalent to losing two days of our school year. Then, a debate began, with attendees alternating speaking for and against the motion. As the debate went on, many students seemed to lose support for the motion. A fellow arts teacher and I hung our heads and prepared to swallow our loss. One young woman offered an amendment to take the time from morning passing instead. Ms. BCP stood to offer historical perspective on the length of morning passing, citing the fact that morning passing was extended from five to 10 minutes to enable students to snack between classes. The offered amendment was defeated overwhelmingly. Then, a second young woman stood to amend the motion. She suggested instead that the time be drawn from students’ lunch recess. The initial reaction in the room was unfavorable. Some students rallied around their lunch recess, arguing that 30 minutes would be insufficient for lunch, conversation and play. But debate continued, with students and teachers standing to offer testimony for their preferred side. A student support teacher spoke for the amendment, claiming that students were not really losing time, they were just moving time from lunch to passing. One student spoke against the amendment, arguing that physical activity during recess contributed to student health. A science teacher spoke for the amendment, claiming that extended passing after lunch was unnecessary due to the small size of the campus. Another student spoke against the amendment, arguing that other schools had more time for socializing. After a few minutes of debate, the mood in the room shifted. Someone called the question, and participants voted almost unanimously to amend the motion. Another student immediately called the question on the amended motion, which 47 of 60 attendees voted to pass. More than one arts teacher cried tears of joy as the town hall moved on to the next order of business — whether or not to host a school dance. Most of the students could not appreciate what had happened. A faculty member had proposed a motion the school leader did not support. A student had provided the unsolicited amendment necessary for its consideration. 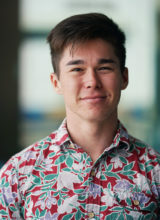 And a coalition of students and teachers voted together to pass the motion which the school leader then accepted, despite possessing veto power. What SEEQS calls democracy, most schools cannot fathom as possible. For a charter school of 149 students, democracy may seem easy. But it is not. Students and teachers attend town hall not merely to stand in line and cast an anonymous ballot, but to sit for more than one hour listening to passionate debate. They physically stand for their positions, offering their ideas to the public. Some of their ideas are clear and strident. Others are garbled. But all are heard. Often, those ideas are rejected. Most motions fail because proposers have not done enough research to identify and deal with potential issues. However, persistent students work to amend their failed motions and gain support before the next town hall. They conference with faculty to improve their persuasive appeal. And they find eventual success. What SEEQS calls democracy, most schools cannot fathom as possible. For a charter school of 149 students, democracy may seem easy. But it is not. In a democracy, schools must offer meaningful opportunities to practice the skills necessary for active citizenship. Town hall is a promising model. It will not work the same at every school. But town hall strengthens three pillars of democracy under threat today. First, town hall allows all stakeholders to influence the policies which affect them. Second, town hall ensures that the voices of the people are heard, even if they cannot afford airtime. Third, town hall rewards leaders brave enough to stand before the public and explain their decisions. Representative student governments do not go far enough to build democracy. Student government meetings, if they are open to the public, are poorly attended by both students and faculty. Their resolutions are often non-binding. And because faculty and administrators are not actively consulted in the formation of policy, they have little incentive to implement student-constructed policy. Nor do faculty and administrators listen to students enough. Administrators routinely fail to discuss or justify policy with teachers and students in public settings. Often, important decisions are made within schools without consulting the stakeholders most impacted, the students. They leave school with the sense that their voices are neither heard nor respected. This weakens their orientation toward civic life. A more democratic future is possible, but not inevitable. Educators must bring that future into being. Town hall is just one venue for practicing democracy — the worst form of government, except for all the others. It will take a week or two to officially change the school schedule. Those who did not attend the town hall still need to be informed. Some of them will be unhappy. They will voice their discontent with the new status quo. And if they feel strongly enough, they will stand before town hall, offering a change.